Darby blasted out of the gates to win the 200 meter dash title with a time of 21.24. 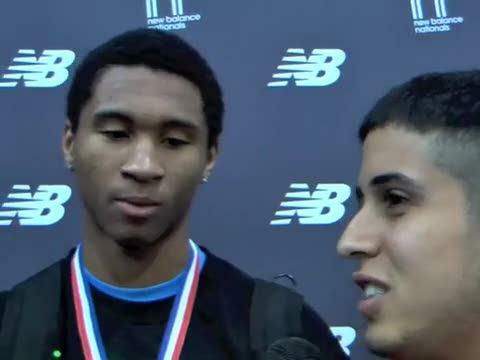 Atlee (VA) boys SMR placed 3rd for All-American honors with a time of 3:30.11. BOSTON, MA, December 8, 2010 – Global athletic leader New Balance is pleased to announce an official multi-year partnership with the National Scholastic Sports Foundation (NSSF) and the New Balance Track & Field Center at the Armory in New York City in the New Balance Indoor Nationals. 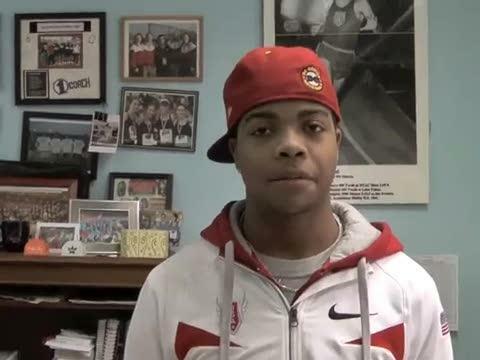 The event will bring together the best indoor track and field high school athletes from across the country for a weekend of intense competition. NEW YORK – There will come a time when Lukas Verzbicas will have to put what he did in perspective. One day he’ll have to take stock of his performance and see that he laid the foundation for what legend is built on. NEW YORK – Lukas Verzbicas didn’t get exactly what he wanted. But there isn’t much more he could ask for. 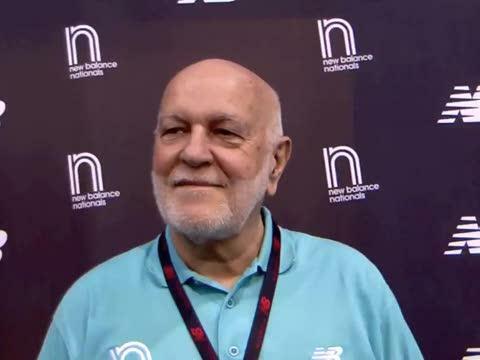 The Carl Sandberg (Ill.) senior started his weekend record assault Friday at the New Balance Indoor Nationals by breaking his own national record in the 5,000 meters in 14:06.78. 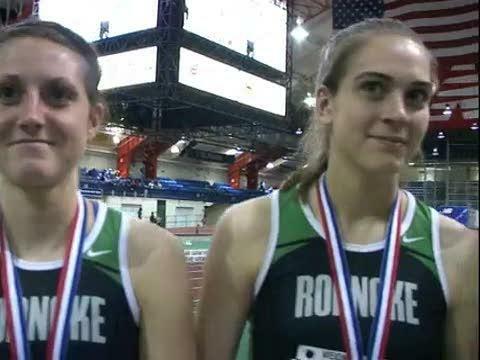 Red Bank Catholic won the girls 4x800 relay championship with a US#3 All-Time performance of 8:56.94. 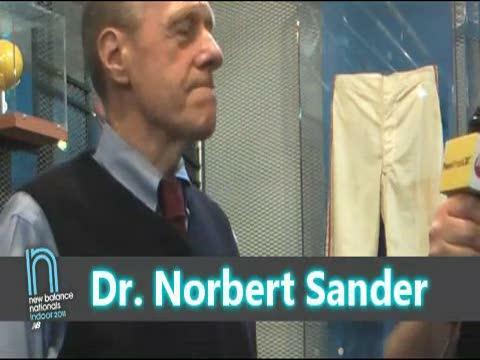 NEW YORK – When Gunnar Nixon finally finished he walked over to the high jump mat, laid face-down and closed his eyes. He had to stop moving for just a minute. 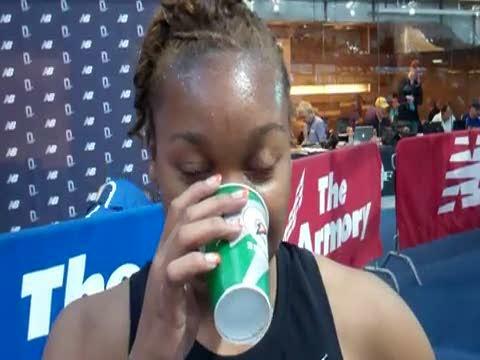 Shelby Ashe (GA) won the girls weight throw and improved her National Record mark to 68-02.50! 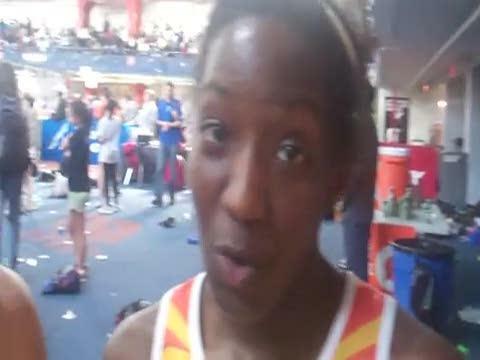 Ajee Wilson & Zavon Watkins set US#6 A-T 800's in 2:06.17 and 1:50.84. 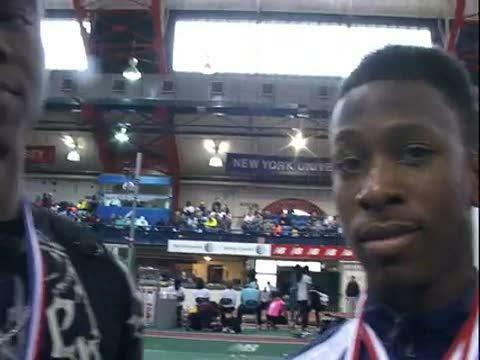 Medgar Evers set a US#6 A-T 4x4 in 3:42.67. 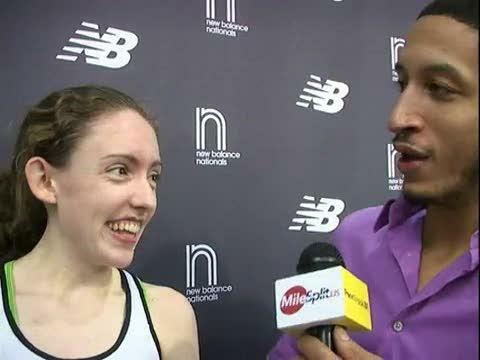 Aisling Cuffe went US#2 All-Time with a 9:56.85 in the 2 Mile. NEW YORK – The best indication that Aisling Cuffe was on pace had nothing to do with time. 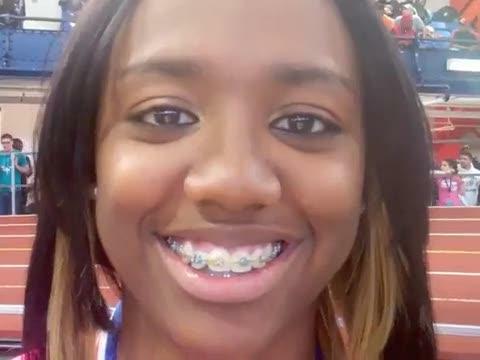 The Stanford-bound senior wanted to listen to her body and she knew her legs would pass the message. 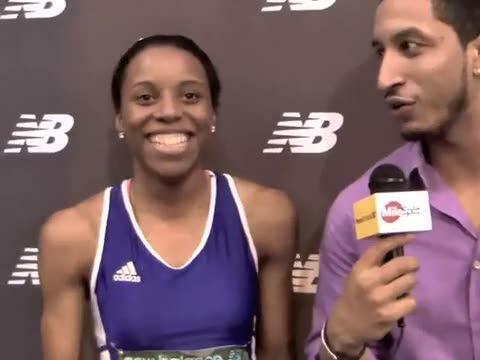 New Balance decked out the Armory with banners, signs, customize shoes, and even some surprises. Check it all out! 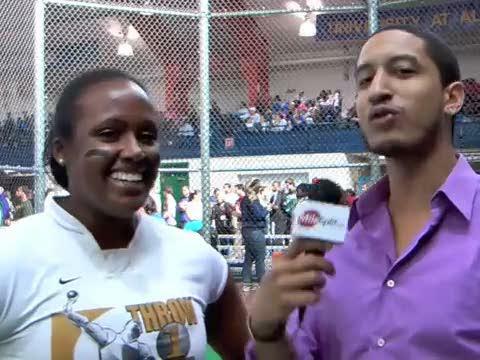 NEW YORK – Christina Hillman stood next to the board that showed the best throw of her life – 14.88 meters. Gunnar set a new national record in the Pentathlon with a total point score of 4307. 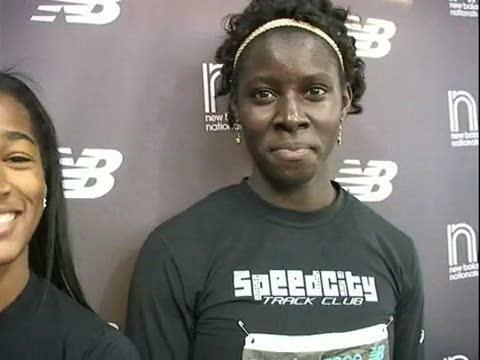 Long Beach Poly (CA) girls set a new meet record with their 1:38.96 come from behind win in the 4x200 meter relay. 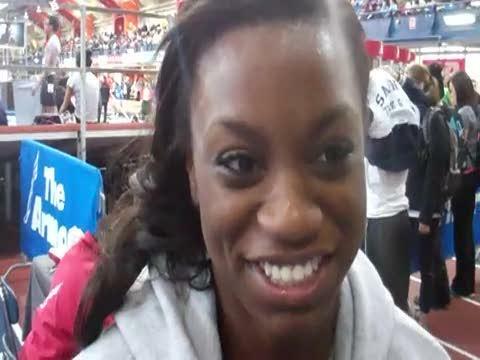 Watch as teams prepare for the 2011 New Balance Indoor Nationals. 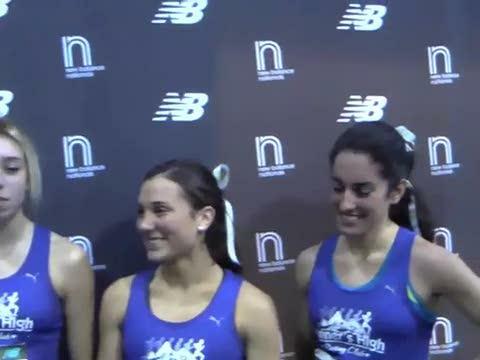 The US#1 Lincoln-Sudbury DMR team will take a shot at their first national title Saturday at the Armory in New York. Ahmed Bile of Annandale and Jeremy Greenwald of Grassfield (pictured above by Ryan Kelly) battled it out for the AAA state 1000 meter title two weeks ago with Bile winning in a thrilling race with both runners timed at 2:28. 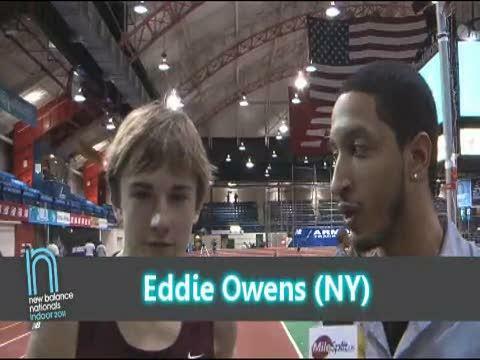 They will not be facing each other head to head at the indoor nationals, but in separate races will look to prove themselves as the best distance runners of the indoor season from Virginia with Bile in the fast section of the 800 and Greenwald in the fast section of the mile at the Armory. 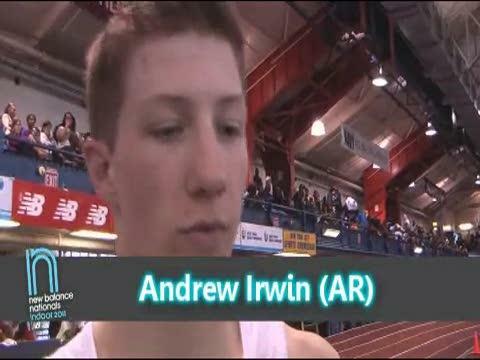 A list of all Virginian boys (links to athlete profiles) entered currently in this upcoming weekend's New Balance Indoor Nationals at the New York Armory. 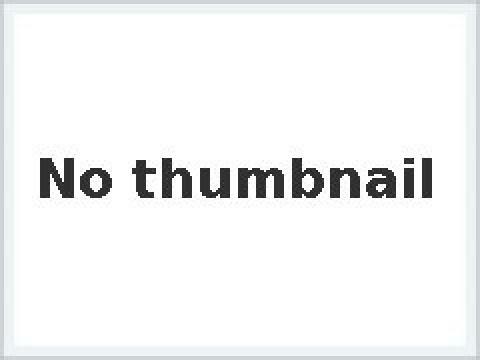 Similar list for the Virginia girls to follow. 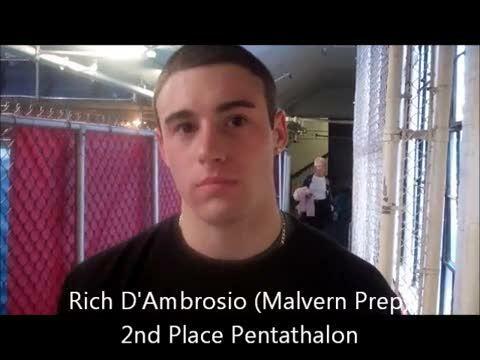 MileStat.com will be on-site with coverage from the Armory. Friday night Distance Medley Relay Splits. Louis Colson of Thomas Edison (VA) finished 2nd in the freshmen boys mile with a new PR time of 4:29. 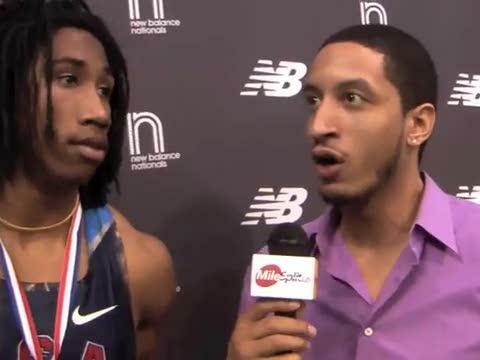 Norview (VA) junior Marquis Worsley has shown himself to be one of the best distance runners to come out of the Eastern District including a section and 1:59 PR victory in the emerging elite 800 at the New Balance Indoor Nationals. George Carter anchored the Blacksburg boys to an All-American 17:48 5th place finish in the 4xmile relay. 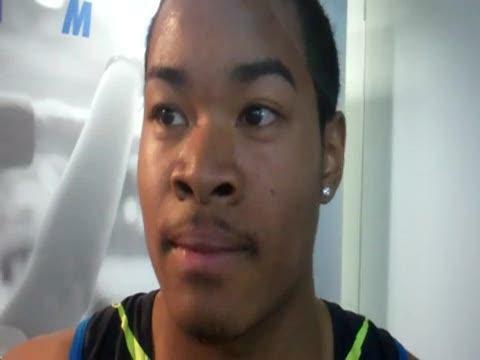 Potomac Senior's Anthony Williams placed 3rd in the 60 hurdles finals with a 7.90 clocking. 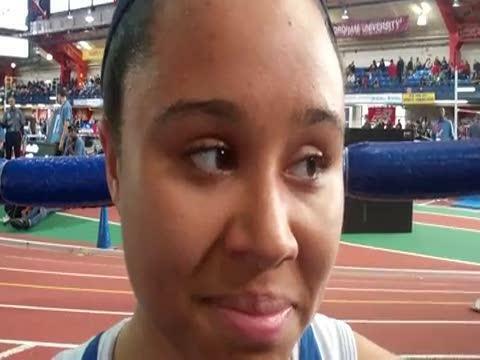 Phoebus (VA) senior Christal Peterson finished as a national runner-up in the 60 meter dash with a 7.45 clocking. 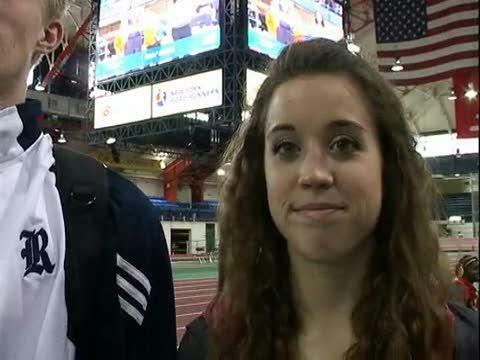 Austin Carter and Emily Bean write about their trip to New York. 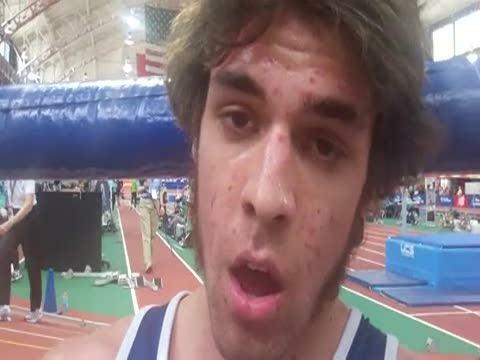 First Colonial (VA) junior Justin Burke posted the fastest qualifying time in the 200 prelims at 21.51. Darren Barlow ran a 4:20 1600 meter anchor leg for the Midlothian (VA) boys in the DMR for a final time of 10:31. 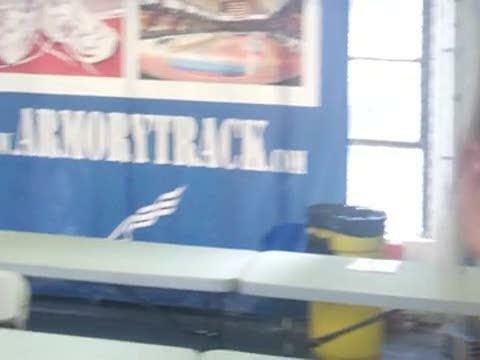 At the January Meeting of the Kentucky Track and Cross Country Coaches Association (KTCCCA) it was decided that any Kentucky high school athlete who chooses to compete at New Balance Indoor Nationals, New Balance Outdoor Nationals, or USA Junior Outdoor Track and Field Championships in 2011 can seek reimbursement for some of their costs to compete. 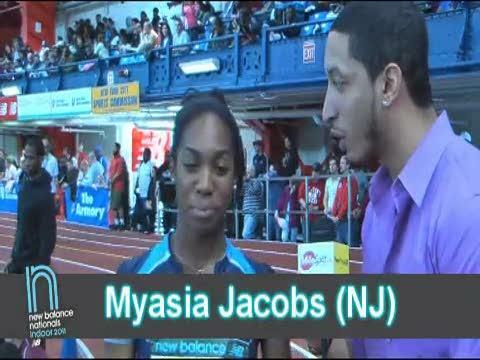 Athletes who compete in one of the New Balances National Championships, which are being held on the east coast in New York and North Carolina, are eligible for up to $250. 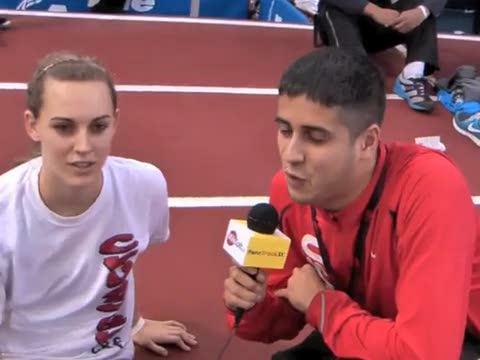 USA Junior Nationals are in Eugene, Oregon this year and athletes can receive up to $500 back. 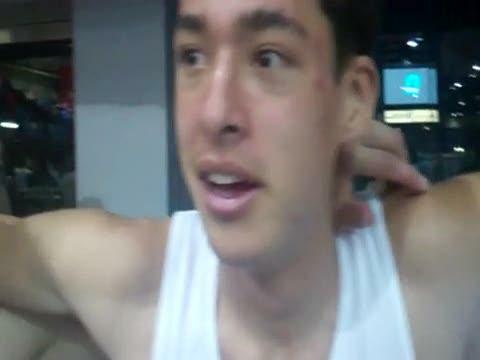 This is strictly a reimbursement based on the athlete supplying receipts showing their costs of staying overnight, eating, and traveling to the meet. 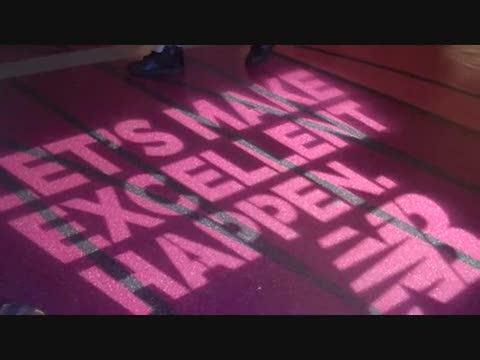 Entry Standards are at the link below: http://www.nationalscholastic.org/indoornats/guidelines/ More details on how to apply and who to contact will be put out at a later time. 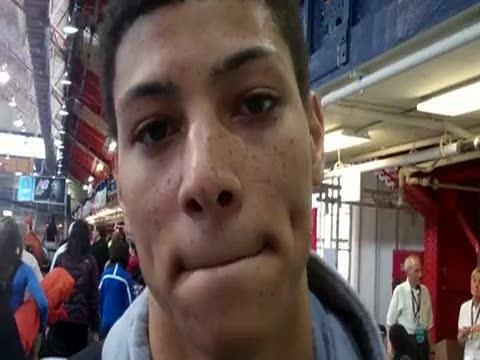 Heritage (VA) senior Daniel McFadden finished as a national runner-up in the 60 meter hurdles with a time of 7.76. 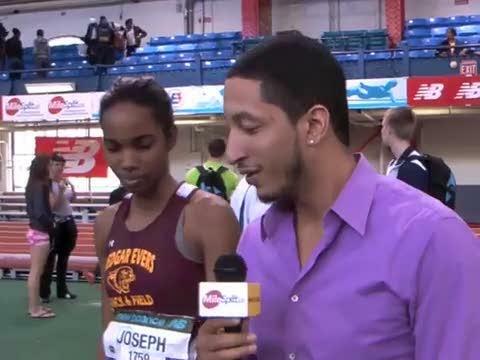 KYtrackXC.com asked the athletes who traveled to New Balance Nationals in New York to write about their experience. Below are the four who responded about their trip. 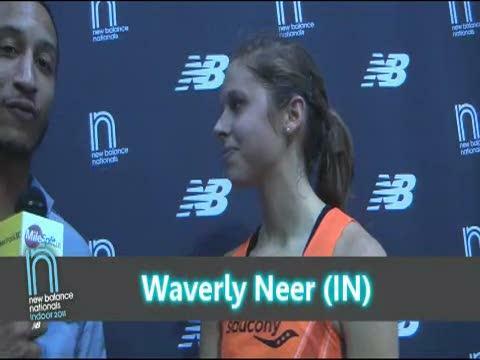 Western Albemarle (VA) senior Mattie Webb finished 11th in the fast section of the girls 5K with a PR time of 17:21. The Bethel girls ran one of the fastest flat track 4x400 meter relay times in the nation with their 3:51.96 victory at the state meet. 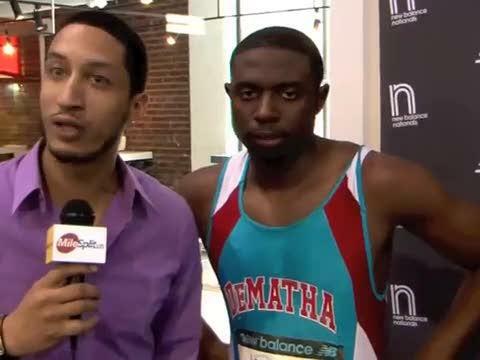 The New Balance Nationals this upcoming weekend will be their first opportunity to run faster on a banked track (at the New York Armory), which has the Bethel quartet thinking of breaking their own school record (3:48.91 at 2009 Virginia Tech Invite) and potentially the Virginia high school indoor state record of 3:46.91 by the 2006 Landstown squad at the indoor nationals. (Photo by Ryan Kelly). 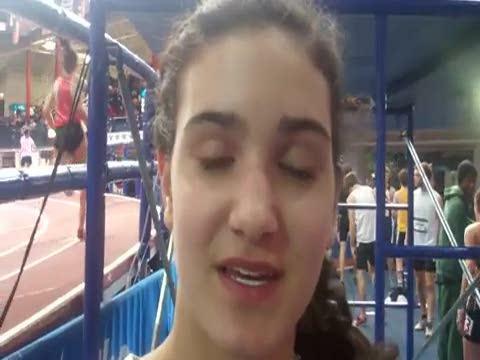 A list of all Virginian girls (links to athlete profiles) entered currently in this upcoming weekend's New Balance Indoor Nationals at the New York Armory. 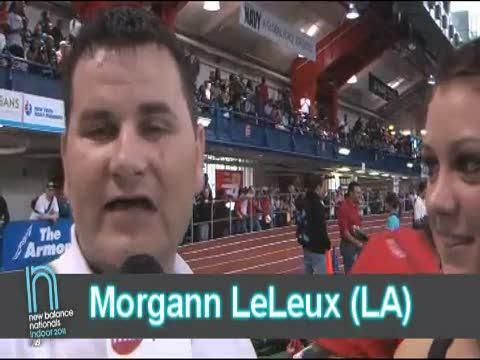 MileStat.com will be on-site with coverage from the Armory. Ocean Lakes (VA) girls placed 3rd in the 4xmile with a time of 21:43 with 3 juniors and one freshmen. 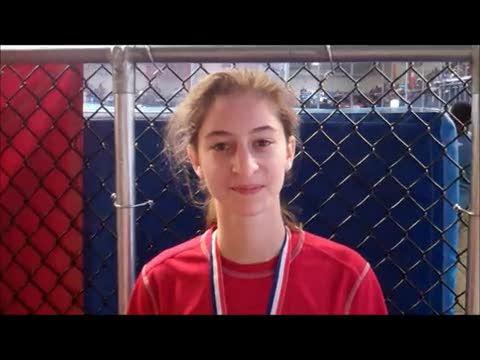 Marissa wins the emerging elite division with a new PR of 10:49 for two miles. The Old North State is taking its talents to the Big Apple! 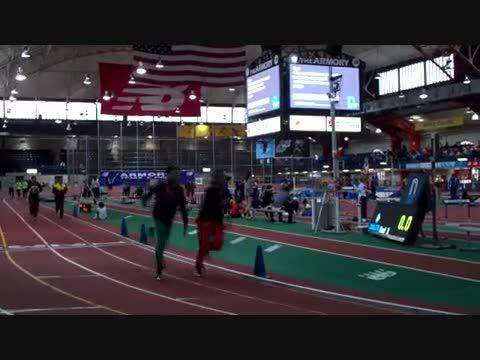 Fairmont Senior Dayton McVicker capped an amazing indoor season placing 6th in the 2 mile run at the New Balance Indoor Nationals today at the Armory track in New York City. McVicker's time in the full 2 mile race was 9:16.29. 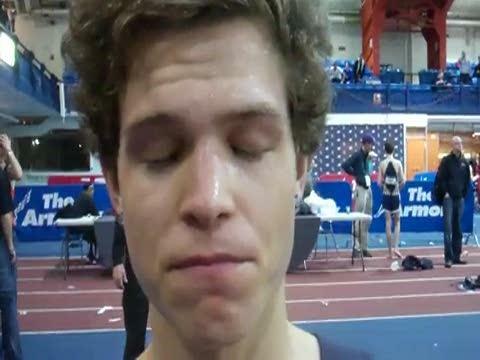 On February the 12th, McVicker gave us a glimpse of how his training was going when he posted a fast 800m in 1:58.72 at a West Virginia Flyers indoor meet on February 12th. The Lakeland boys qualified for the finals of the 4x200 with a VA #11 all-time performance of 1:29.53. 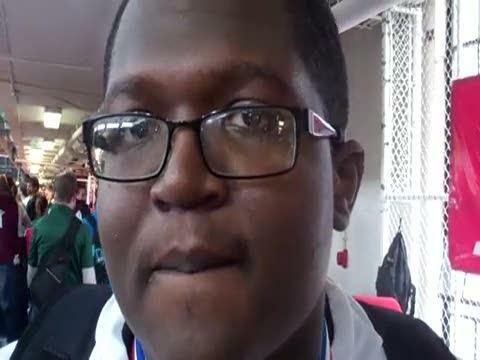 Lakeland would later finish 4th in the finals. Gambrell finished third in 48-07.50. Hidden Valley girls placed 5th in the DMR with a VA state indoor record time of 11:52. 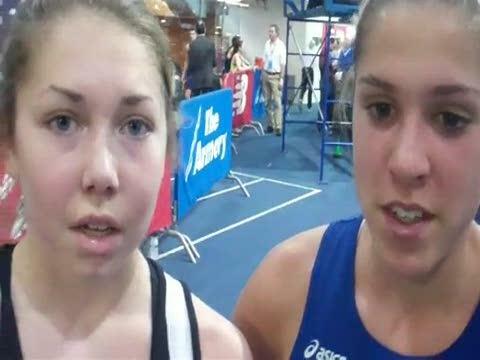 Two of Virginia's top distance runners Mattie Webb of Western Albemarle and Hannah Lowery of Stafford competed in the morning sections of the 2 mile running times in the 10:40s. 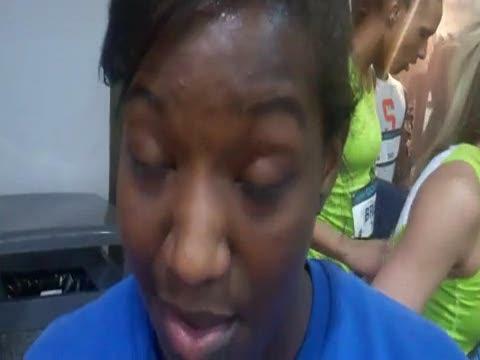 James Robinson (VA) junior Genamarie McCant won her prelim heat in the emerging elite to advance to the finals. 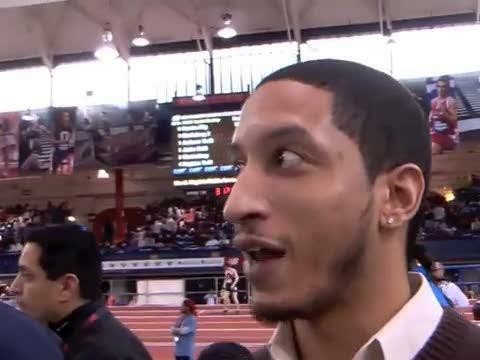 Medgar Evers won the 4x400 with a US#6 All-Time performance of 3:42.67. 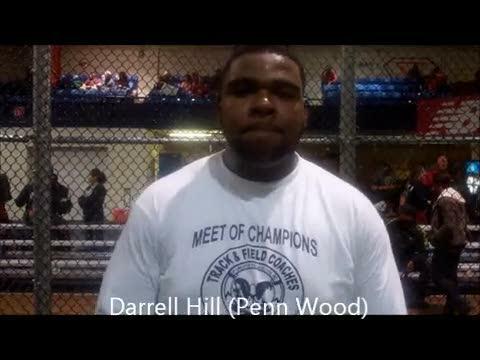 Devin Spencer of Bethel (VA) finished 6th in the boys shot put with his mark ever over 50 feet. Dustin won the slower section with a 9:12.16 that held on for 5th overall. 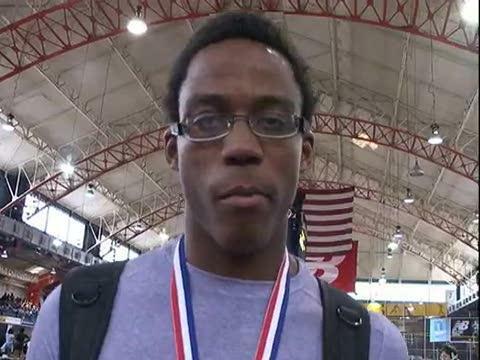 The Virginia 2A 55 meter dash state champion Alyn Carr ran 2nd leg on Blacksburg's 4x200 school record breaking relay at New Balance Indoor Nationals. 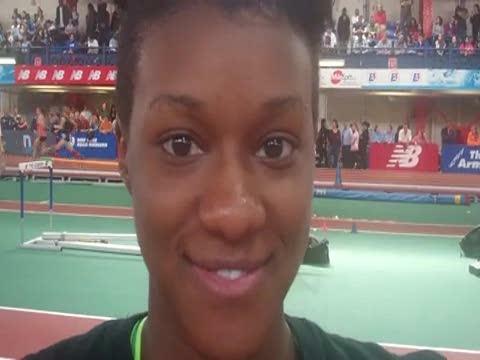 Episcopal (VA) senior Shantell Bingham qualified for the finals of the 60 meter hurdles by time in the semis. Wando senior Tim Tyler and his father Tim had an exciting ride once landing at New York's LaGuardia Airport Friday morning enroute to New Balance Nationals at The Armory. Blacksburg girls finished national runner-up in the sprint medley relay at the New Balance Indoor Nationals with a time of 4:05.94. Colonial Forge (VA) boys 4x800 earned All-American honors with a 5th place and state leading time of 7:49. Blacksburg (VA) senior George Carter placed 4th in the championship mile race with a time of 4:13. Cosby (VA) girls 4x800 won section 1 of the 4x800 with a state leading time of 9:15. 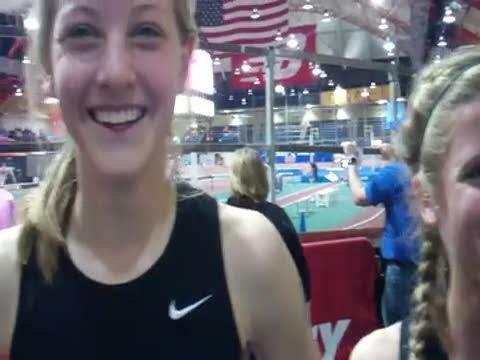 Aisling Cuffe from Cornwall HS (NY) just missed the national indoor record with her 9:56.85 win at the New Balance Indoor Nationals. 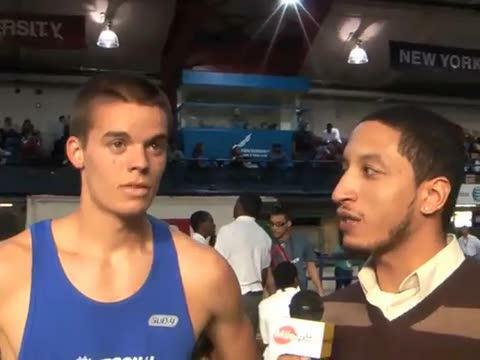 The two All-American pole vaulters from Atlee High School (VA) in Chris Pillow and Cameron Overstreet. 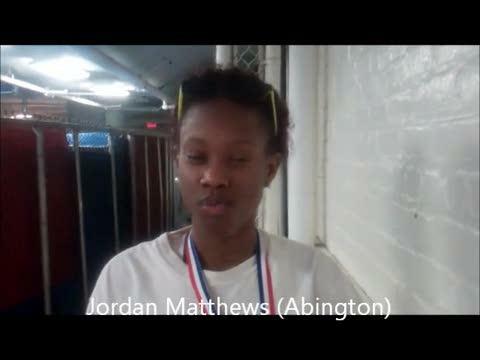 Western Branch girls finished 5th in the 4x400 with a VA top 10 all-time performance of 3:51.47. 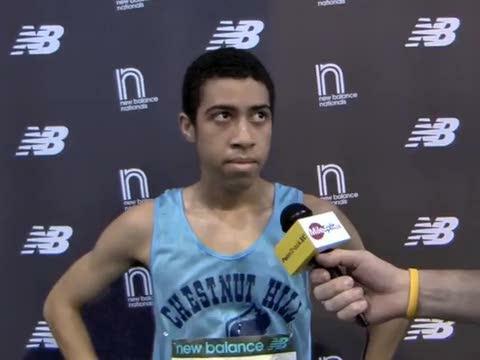 Atlee (VA) senior Andrew Catanese ran a 5K PR time of 15:21 with a 8th place finish in the fast section at the New Balance Indoor Nationals. 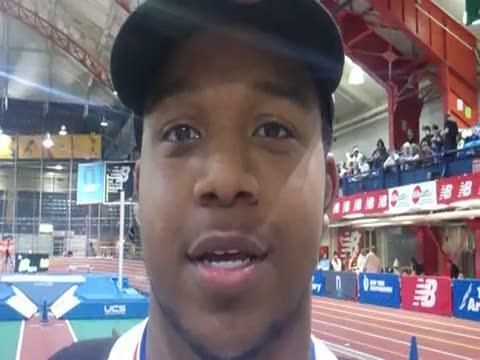 Woodbridge (VA) senior Isaiah Simmons threw over 67 feet to take national runner-up honors in the boys shot put. 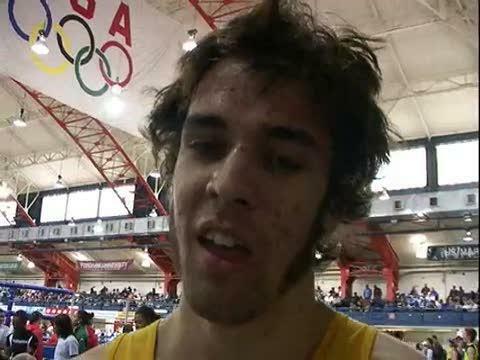 Sean won a thrilling race with an incredibly close finish in a US#1 time of 47.91. 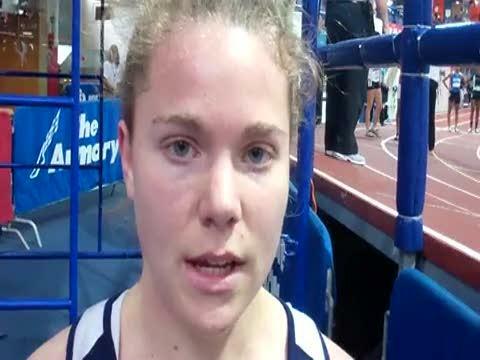 St. Catherine's (VA) senior Taylor Clevinger finished 2nd in section 1 of the girls 800 with a time of 2:14. 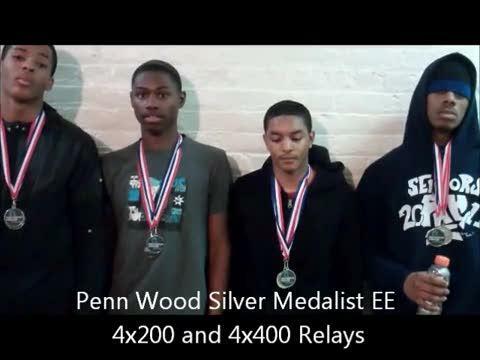 Western Branch ran 32.73 for US#3 and the win. 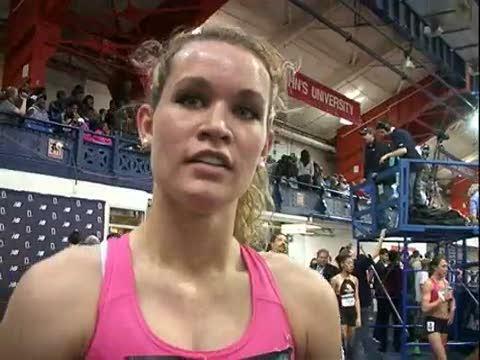 Megan Moye of Cosby (VA) earned All-American honors in the 2 mile run with a 6th place time of 10:32. 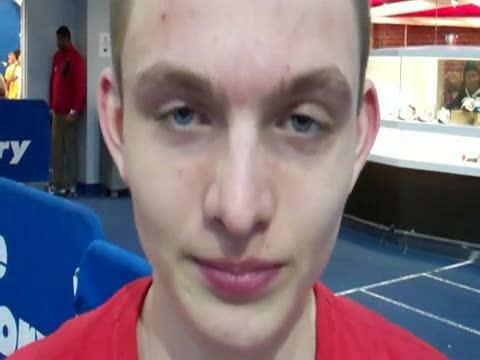 All-Time #3 Indoor Pentathlon performance by the sophomore from Georgia. 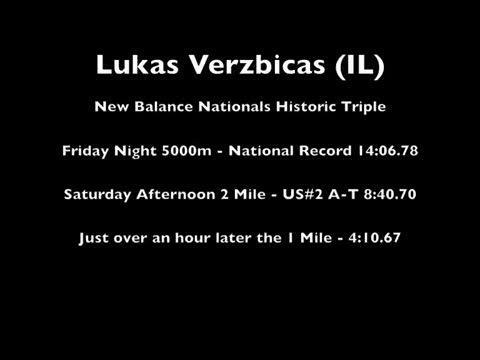 Lukas won the 5000, 2 Mile, and 1 Mile over the three days of the New Balance Indoor Nationals. Cierra won with a big PR and US#1 time of 23.95. Taylor knocked a second off her PR to earn All-American with a time of 55.26. 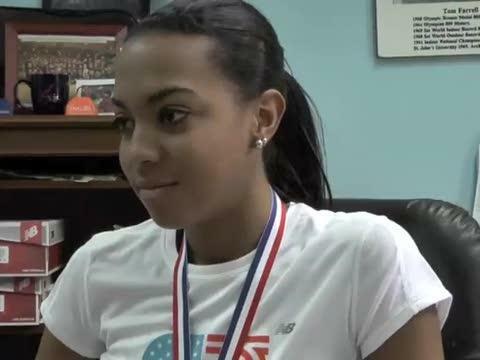 Chantilly (VA) sophomore Kendall Cowne won her section of the emerging elite 800 in a time of 2:19. Alexandra Moseley of Cosby (VA) finished 2nd in the freshmen girls race with a time of 58.64. 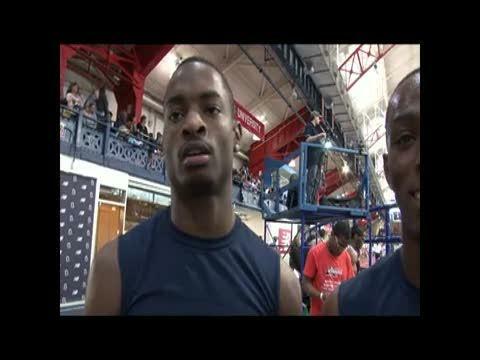 DeMatha looked strong on every leg as they won with a time of 3:15.23. Lavong returns to cheer for family and friends in the Pentathlon and jumps. He is now at Adams State. 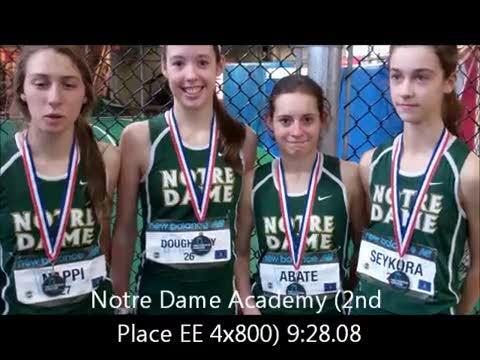 Abington won the 4x800 national title with a time of 7:45.21. 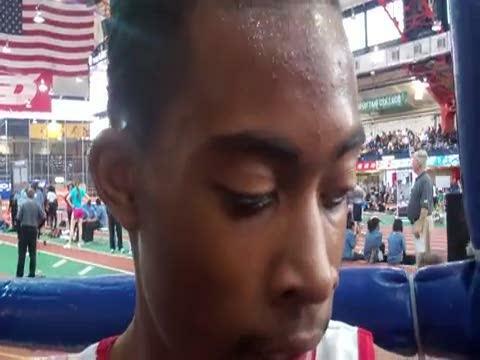 The second day of New Balance Indoor Nationals brought saw one Kentucky relay in action and a rare (for Kentucky at least) multi’s athlete. The third brought us a sophomore looking to gain some national experience. 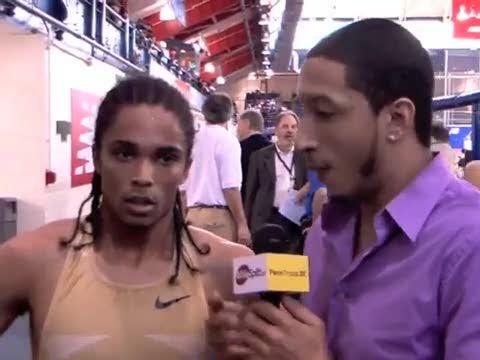 Wilson won the 800 with a US#6 All-Time performance of 2:06.17. 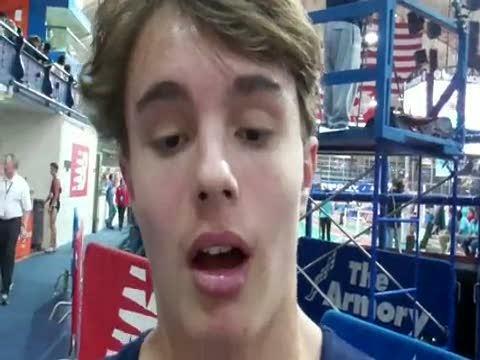 Albemarle's Ryan Thomas won the freshmen mile at the New Balance Indoor Nationals in 4:26. 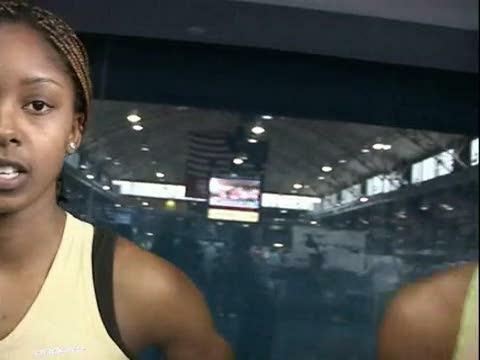 Two of Virginia's top middle distance runners in Myah Hicks of Thomas Edison and Amanda Smith of Grassfield competed in the 800 and posted times of 2:12 and 2:13 respectively. 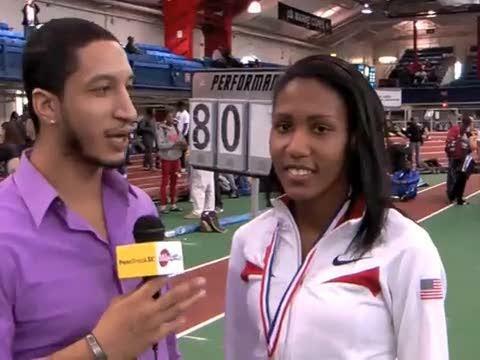 Shelley Black (PA) - All-American 60 Hurdles with a time of 8.45. 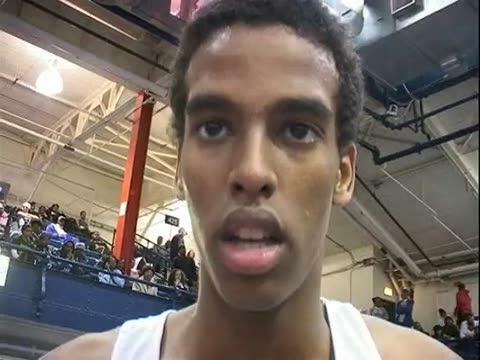 Annandale (VA) junior Ahmed Bile placed 3rd in the championship boys 800 race with a new PR of 1:51.96.